“God, Power, and Money”: Did Cosimo de’Medici Deceive Renaissance Florence? Cosimo needed to present himself as a benevolent figure because it was the only way to expiate his guilt. In determining whether or not Cosimo de’Medici deceived the Florentines by presenting himself as a benevolent figure one must firstly understand the context in which Cosimo was living, and what motives lay at the heart of his actions. Cosimo de’Medici did what all citizens of his status did; he pursued power by preaching humility. This paradox, however questionable, is central in understanding the mechanisms embedded in the mentality of 15th Century Florentine businessmen. Cosimo’s generosity, today, can indeed be considered as an act of deception in the attempt to legitimise one’s power, and yet, the deception theory is undone by the fact that Florentine society was well aware of what he did, and for a series of reasons, was willing to allow it. The opening question is thus flawed as one might argue that Cosimo ‘deceived’ Florentine Republican institutions, but at the same time, he managed to implicitly ‘cut a deal’ with Florentine society. Cosimo was a man of his time who needed to behave in a certain way to achieve a degree of power that the Florentines would have never openly allowed. The Florentines were unwilling to consent to the rise of a Florentine prince, but they soon realised, that Cosimo could guarantee unprecedented stability and prosperity to the Republic. prerequisite of Florentine society/mentality for his legitimization of wealth and consent to power. To expose this argument one must analyse the reasons for which Cosimo needed to present himself as a benevolent figure, and contrast it, to why he might have wanted to be a benevolent figure. Finally, it will be useful to observe how the partisan nature of the sources we possess is crucial in limiting/preventing us from giving a clear-cut answer to the initial question. “When Cosimo….began to move out of his quarter to offer massive charitable support for the restoration of religious buildings in other parts of Florence, he roused fears and envies. Cosimo’s modesty reinforces the image of a benevolent and un-ambitious citizen. In the political context Cosimo managed to erect himself as an ‘informal prince’ by creating a system by which the democratic mechanisms of the Republic, although in place, would determine the election of pro-Medicean citizens to the Signoria’s offices. Initially through banishments, then through the appointment of Balìe who sucked legislative power from the Parlamento, Cosimo weakened the Anti-Medici factions which had led to his exile in 1433. Cosimo’s final system of control was the manipulation of the taxation system. when in the public scene; effectively constructing a façade behind which he could operate in his own interest. To prevent opposition and uprisings Cosimo unofficially offered incentives for the population to sustain him. This Medici system succeeded in creating what Brion defines as the “Infantilization of the Masses”. By bestowing upon them gifts, buildings, festivities and other material goods that increased public welfare, Cosimo bought the people’s approval for his quasi-monarchic system. Hence, these acts of generosity had the calculated purpose of legitimising his power/wealth within Florence’s domestic context. Cosimo’s charity was saving him from eternal damnation, and simultaneously, created an image of himself that acquired consensus by the people as well as acceptance by the other leading families. Florence was a city plagued by factionalism. Had Cosimo acted more boldly, openly acquiring power and proclaiming himself ruler of Florence, this would have undoubtedly led to his demise. By maintaining a low profile Cosimo was able to attain power and, thanks to his networking skills, he established a system of mutual advantages for all of his sustainers. “Although his actions benefited many; it was designed to favour him above all others.” Because of his wealth he had to present himself as a friend, not as a potential foe. out because he sincerely wanted it. Brion argues that his actions were not merely acts of self-interest, but rather, there was a component of patriotism in Cosimo’s behaviour; typical of all Florentines of the time. Cosimo did indeed feel a sense of pride for his country, and this is reflected by the extent to which he went to patronage public buildings. He not only renewed S. Marco, but also took charge of completing other buildings, such as S. Lorenzo, which had been started by his brother. Vespasiano, Cosimo’s biographer, illustrates in Cosimo’s biography how his charity went beyond the conventional generosity expected of the great Florentine families. To acquire consent Cosimo was required to build edifices of public utility within Florence, and yet, he also sponsored foreign constructions which were of no direct interest to him. As Vespasiano reports: “certain friars of Jerusalem…told him that their house, Il Santissimo Spirito, was in ruins and wanted rebuilding. Cosimo agreed to do the whole work”. From this simple example one can see how his sense of duty and generosity did effectively go beyond the minimum requirements to legitimise his wealth. Furthermore, it has become a legend the episode in which Cosimo, having heard that the budget for the construction of the Badia of Fiesole was costing much more than S. Lorenzo, stated that: “Those in charge at S. Lorenzo deserve blame because they have done so little work, and those at the Badia deserve praise because they have done more than the others.” Civic Humanism also encourages the idea that Cosimo may have presented himself as benevolent because he felt it was a dutiful thing to do, and henceforth, one might suggest that Cosimo was benevolent by nature. As Brion suggests: “[patronage]…was not all done to earn extra popularity and prestige…”. but it was in fact, an imbedded trait of the wealthy classes that derived from their humanist education. Cosimo was trying to embody the philosophical and cultural conceptions that the Renaissance were evoking; liberality, wisdom, virtue, modesty, and benevolence. Some historians have gone as far as rejecting the deceitful nature of Cosimo’s behaviour. 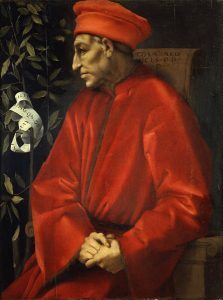 Hale argues that Cosimo was: “A rich man with a sturdy pride in his family’s social position, a real pleasure in building, happily shouldering the responsibilities of wealth and not so imaginative as to disregard convention….” This view appears somewhat naïve in that it excludes the fact that, to a certain extent, Cosimo was required to present himself as benevolent due to an implicit code of conduct of 15th century Florentine businessmen. Although Hale’s view appears excessively buonista, he successfully points out an idea that many erroneously discredit; Cosimo de’Medici presented himself as benevolent because he sincerely wanted (and could afford) to. Cosimo’s attitude towards life may have been also conditioned by the family context that characterized his upbringing. “His father, always so wary and discreet, had throughout his life, maintained his reputation for modesty and moderation.” It is likely that the attitudes of his father may have influenced him as well. Renaissance patrons like Cosimo were constantly attempting to leave a mark in history of their existence; becoming a beloved citizen was the most logical way to achieve this goal. The grandeur of the city depended on honour and reputation. Florence, as a growing merchant city, was psychologically handicapped by the fact that, unlike Rome, there was not yet a true sense of identity. Figures like Cosimo felt responsible for forging a Florentine identity, and felt that this depended to a great extent on the way they presented themselves and their city. Cosimo desired to be remembered, and this would depend on his reputation and the material goods he would leave for posterity. As a leading patron stated, the objective of patronage was: “The honour of God, and the honour of the City, and the commemoration of Me.” Perhaps the most eloquent words describing Cosimo’s fear of being forgotten were reported by Vespasiano; “I [Vespasiano] once heard Cosimo say that the great mistake of his life was that he did not begin to spend his wealth ten years earlier; because, knowing well the disposition of his fellow citizens, he was sure that, in the lapse of fifty years, no memory would remain of his personality or of his house save a few fabrics he might have built.” This shows how indeed Cosimo did want to become that benevolent figure he presented himself as and, the extent to which he went in being charitable, constitutes tangible evidence of his good will. In determining Cosimo’s benevolence, one must realise that the opening question has highly ambitious expectations. It is quite difficult to establish whether or not Cosimo’s attitude was a deception or not, since the sources at our disposal are limited and partisan. As Jurdjevic states: “After all, we know that many humanists associated with and supported Cosimo de’Medici.” Many of the leading humanists in Florence were in fact patronaged by Cosimo himself. The effect of these relationships are highlighted by the degree of compliments directed towards Cosimo in the humanists’ writings of the time. For Bartolomeo Scala Cosimo was: “….this incredible exemplar of ‘divine fortitude and wisdom’.” Naldo Naldi compared the glory of Cosimo to that of Augustus whilst “….other aspiring poets like Franceso da Castiglione or Angelo Lapo of Faenza referred to Cosimo’s patronage and openly expressed their hope of being rewarded for their verse.” Furthermore, Cosimo gathered consensus amongst humanist circles by bringing leading scholars to teach in Florence. This was viewed by many as an act of civic humanism, but also, made these ‘imported’ scholars a tool to legitimise Cosimo’s degree of wealth and power. 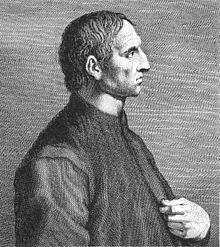 One of these ‘imported’ intellectuals was the Greek Argyropolous, for whom: “[Cosimo]….represented the sort of philosopher-ruler whom ‘divine Plato wished to govern cities and public affairs.” By sponsoring leading humanist writers, Cosimo effectively created a generation of Medicean propagandists whose writings elevated him onto the pedestal of the Pater Patriae which he would later become. It is clear how such ‘conditioning’ led most writers of the time to portray a benevolent image of Cosimo; in the hope of being rewarded by he who was the effective ruler of Florence. Thus, the sources that we possess today are insufficiently reliable in evaluating the true nature of Cosimo’s benevolent image. Británico- italiano – irlandés. Historiador y lingüista. Universidad de Costa Rica y Universidad Nacional. Liberia, Guanacaste. Costa Rica. Email: sjmcoppola@gmail.com. Dale Kent, Cosimo De’Medici and the Fiorentine Renaissance, (London: Allen Lane, 1974), p. 131. Peter Laven, Renaissance Italy 1464-1534, (London: B.T. Batsford Ltd, 1966), p. 242. Lauro Martines, Power and Imagination, (London: Allen Lane, 1979), p. 336. J.R. Hale, Florence and the Medici: The Pattern of Control, (Plymouth: Thames and Hudson, 1977), pp. 35-36. Marina Marietti, Machiavelli: L’Eccezione Fiorentina, (Fiesole: Cadmo, 2005), p. 138. Marcel Brion, The Medici: A Great Florentine Family, (London: Elek Books, 1969), p. 34. 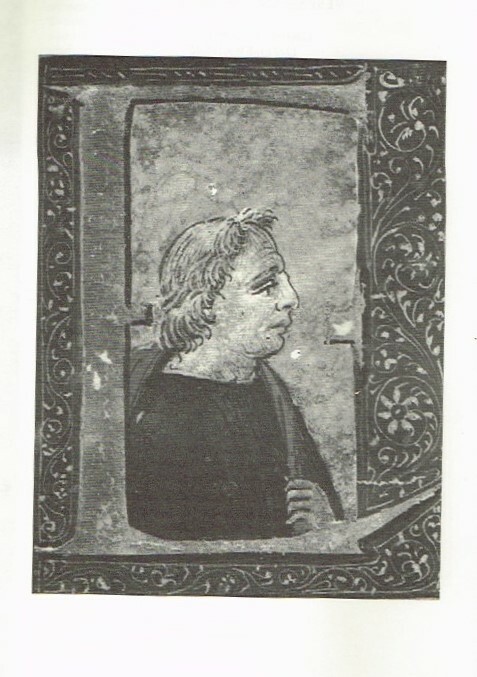 Vespasiano, Cosimo de’Medici (1389-1464), From Lives of Illustrious Men of the Fifteenth Century, Trans. William. George and Emily Waters. in Myron Gilmore (ed). Renaissance Princes, Popes, and Prelates. New York. 1963, p. 220. Op.cit, Marcel Brion, (1969), p. 29. Op.cit, J.R.Hale (1977), p. 32. Charity and Benevolence were required to expiate sins and gather legitimacy for power in the eyes of public opinion. Christopher Hibbert, The Rise and Fall of the House of Medici, (London: Allen Lane, 1974), p. 40. Dale Kent, Cosimo de’Medici and the Florentine Renaissance, (London: Yale University Press, 2000), p. 132. Op.cit, Vespasiano, (2006), p. 222-223. Mark Jurdjevic, “Civic Humanism and the Rise of the Medici”, Renaissance Quarterly, (vol.52, n°4, Winter 1999), p. 998. Alison Brown, “The Humanist Portarit of Cosimo de’Medici, Pater Patriae”, The Journal of the Warburg and Courtauld Institutes, (vol. 24. n° ¾, July-Dec., 1961), p 199. Op.cit, J. R. Hale (1977), p. 27. Op.cit, Marcel Brion (1969), p. 26. Brion, Marcel. The Medici: A Great Florentine Family. London: Elek Books. 1969. Warburg and Courtauld Institutes. vol. 24. n° ¾, July-Dec., 1961. 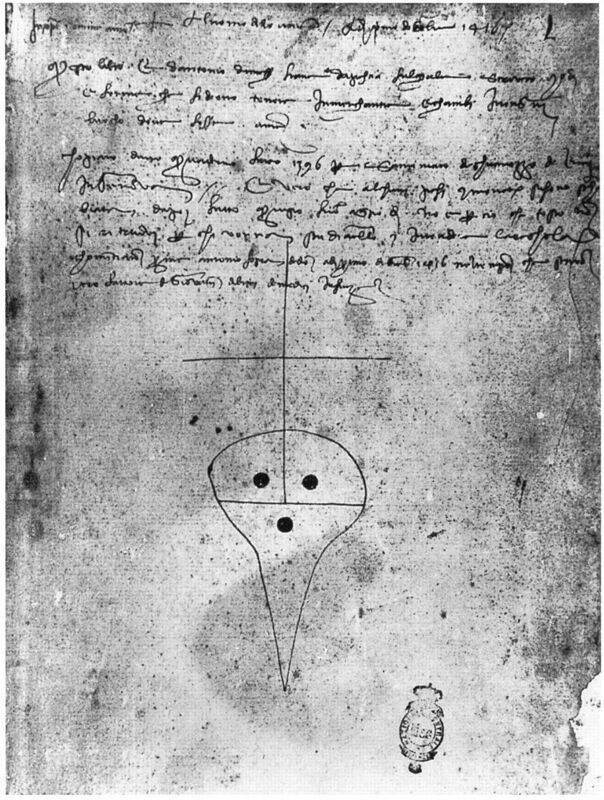 Hale, J.R. Florence and the Medici: The Pattern of Control. Plymouth: Thames and Hudson. 1977. Hibbert, Christopher. The Rise and Fall of the House of Medici. London: Allen Lane. 1974. Kent, Dale. Cosimo De’Medici and the Fiorentine Renaissance. London: Allen Lane. 1974. Laven, Peter. Renaissance Italy 1464-1534. London: B.T. Batsford Ltd. 1966. Marietti, Marina. Machiavelli: L’Eccezione Fiorentina. Fiesole: Cadmo. 2005. Martines, Lauro. Power and Imagination. London: Allen Lane. 1979. Princes, Popes, and Prelates. New York. 1963. Originally published by InterSedes: Revista de las Sedes Regionales 14:29 (July-Dec. 2013, 164-171), ISSN: 2215-2458, Universidad de Costa Rica, under the terms of a Creative Commons Atribución-NoComercial-SinDerivadas 3.0 Costa Rica license. This entry was posted in Florence, History, Medieval, Middle Ages, Renaissance. Bookmark the permalink.